"O marvelous thing, that the soul at this time is flooded with divine waters, abounding in them like a plentiful fount overflowing on all sides! Although it is true that this communication under discussion is the light and fire from these lamps of God, yet this fire here is so gentle that, being an immense fire, it is like the waters of life that satisfy the thirst of the spirit with the impetus the spirit desires. Hence these lamps of fire are living waters of the spirit like those that descended on the Apostles [Acts 2:3]; although they were lamps of fire they were clear and pure waters as well. 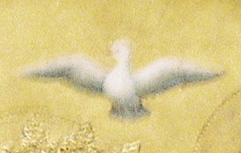 The prophet Ezekiel referred to them in this fashion when he prophesied the coming of the Holy Spirit: I will pour out upon you, God says there, clean waters and will put my spirit in the midst of you [Ez. 36:25-27]. Although it is fire, it is also water. For this fire is represented by the fire of the sacrifice that Jeremiah hid in the cistern: While it was hidden it was water, and when they drew it out for the sacrifice, it was fire [2 Mac. 1:19-23]." - St. John of the Cross, The Living Flame of Love 3:8, from The Collected Works of St. John of the Cross, ICS Publications. 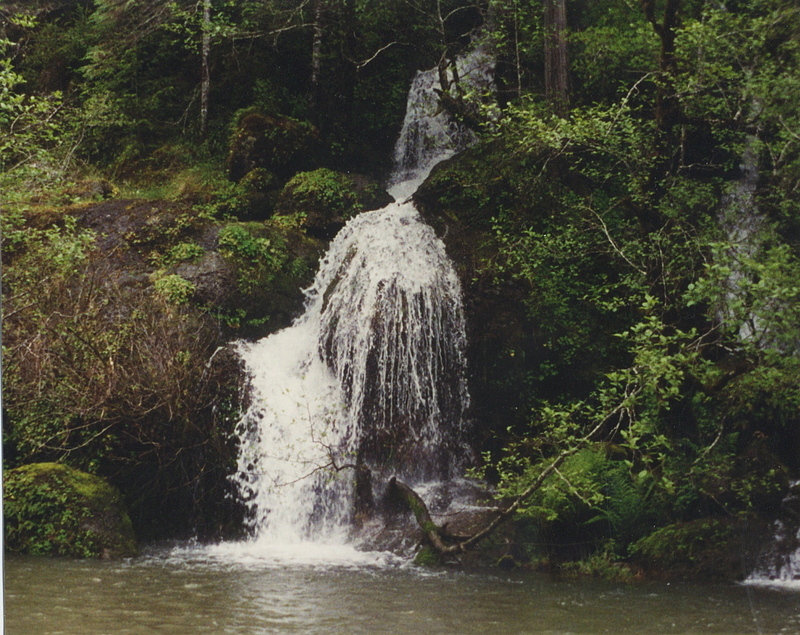 Photo: A waterfall on the Rogue River, southern Oregon, photo by me, May, 1995. They are blessed who believe without seeing. "Where signs and testimonies abound, there is less merit in believing. St. Gregory declares that faith is without merit when it has proof from human reason [In Homilia 26 in Evangelium 1, in Migne. PL 76, 1197]. "God never works these marvels except when they are a necessity for believing. Lest his disciples go without merit by having sensible proof of his resurrection, he did many things to further their belief before they saw him. Mary Magdalene was first shown the empty sepulcher, and afterward the angels told her about the resurrection so she would, by hearing, believe before seeing. As St. Paul says: Faith comes through hearing [Rom. 10:17]. And though she beheld him, he seemed only an ordinary man, so by the warmth of his presence he could finish instructing her in the belief she was lacking [Mt. 28:1-6; Lk. 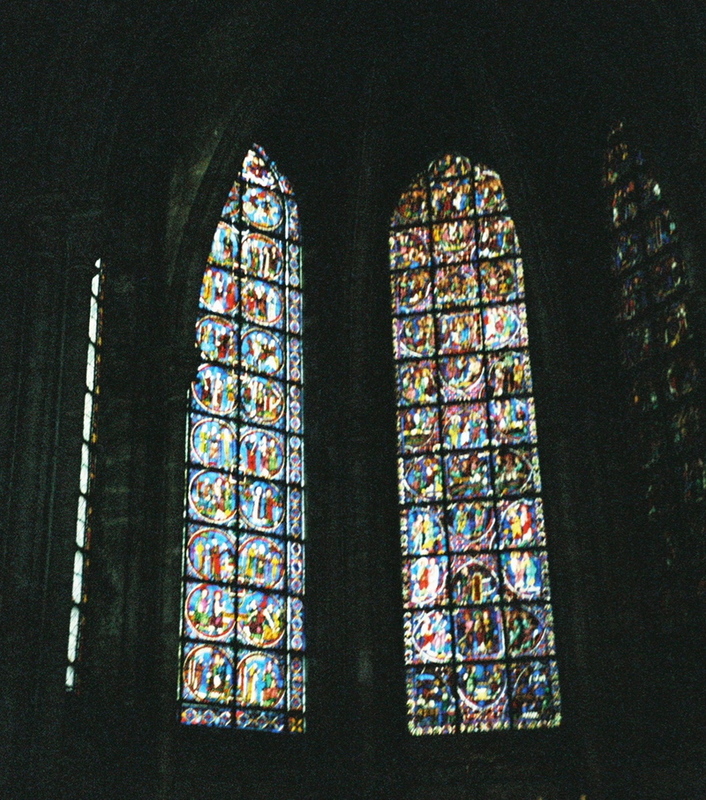 24:4-10; Jn 20:11-18]. And the women were sent to tell the disciples first; then these disciples set out to see the sepulcher [Mt. 28:7-8]. And journeying incognito to Emmaus with two of his followers, he inflamed their hearts in faith before allowing them to see [Lk. 24:15-32]. Finally he reproved all his disciples for refusing to believe those who had told them of his resurrection [Mk. 16:14]. And announcing to St. Thomas that they are blessed who believe without seeing, he reprimanded him for desiring to experience the sight and touch of his wounds [Jn. 20:25, 29]." - St. John of the Cross, The Ascent of Mount Carmel, Book Three, Chapter 31. The Pontificator Reads St. John of the Cross . . .
. . . and has posted two portions of the Carmelite saint's poetry from A Spiritual Canticle and the poem Verses of the Soul that Pines to See God. Both are from Rhina P. Espaillat's translations previously published in First Things. The entire Spiritual Canticle and a collection of poems including Verses of the Soul that Pines to See God can be found, together with other writings of St. John of the Cross and Carmelite commentary, in The Collected Works of St. John of the Cross from ICS Publications, translated by Carmelite friars Kieran Kavanaugh, O.C.D., and Otilio Rodriguez, O.C.D. (nearly 800 pages with commentary). except by your very presence and image. from The Collected Works of St. John of the Cross. December 14 is the memorial of St. John of the Cross. Picture: The Anunciation by Dieric Bouts, 1450-1455, at the Getty. Blogthings has added fun quizzes about the 7 deadly sins. In The Dark Night of the Soul, St. John of the Cross writes about how the temptations to those sins may impact our prayer lives even when, for example, the pride in question is spiritual pride and the envy is envy of someone else's prayer life. This post is a combination of excerpts from the counsel of St. John of the Cross on watching for these sins in our spiritual lives together with my own scores on the Blogthings quizzes. The Blogthings quizzes, of course, are not based on St. John of the Cross. (Quotations here from The Dark Night of the Soul are excerpts from those on "The Spiritual Vices of Beginners" compiled by Kieran Kavanaugh, OCD, in John of the Cross: Doctor of Light and Love , which I've been reading this week.) Let's see how I did . . .
"These beginners feel so fervent and diligent in their spiritual exercises and undertakings that a certain kind of secret pride is generated in them which begets a complacency with themselves and their accomplishments, despite the fact that holy works do of their very nature cause humility." You have your proud moments, but you're also likely to be a little ashamed of them. Don't be too hard on yourself. It's normal to want to make a stellar impression. "Many beginners also at times possess great spiritual avarice. They will hardly ever seem content with the spirit God gives them. They become unhappy and peevish because they don't find the consolation they want in spiritual things." You're anything but greedy. You're eager to share and give to others. For you, collecting material possessions is more trouble than it's worth! "Some people are so delicate that when gratification is received spiritually, or in prayer, they immediately experience a lust that so inebriates them and caresses their senses that they become as it were engulfed in the delight and satisfaction of that vice, and this experience will continue passively with the other." Congratulations, you have your lust under control. It's not that you aren't a lustful person, you just like to save it for the perfect occasion! "Because of the strong desire of many beginners for spiritual gratification, they usually have many imperfections of anger. When the delight and satisfaction procured in their spiritual exercises passes, these beginners are naturally left without any spiritual savor. And because of this distastefulness, they become peevish in the works they do and easily angered by the least thing, and occasionally they are so unbearable that nobody can put up with them." Revenge, anger, rage? They're hardly words in your vocabulary. If someone wrongs you, you move on. You rather be indifferent than upset. "Many, lured by the delight and satisfaction procured in their religious practices, strive more for spiritual savor than for spiritual purity and discretion; yet it is this purity and discretion that God looks for and finds acceptable throughout a soul's entire spiritual journey." You have a pretty good relationship with food - you enjoy it, but you don't go overboard. You've struck the perfect balance between gluttony and self control. "In regard to envy, many of them feel sad about the spiritual good of others and experience sensible grief in noting that their neighbor is ahead of them on the road to perfection, and they will not want to hear others praised." You are an occasionally envious person, but jealousy doesn't usually get the better of you. You're wise enough to know that envy feels horrible - and does nothing to improve your life. A little jealousy is normal: so go ahead and let yourself feel it. But don't let it bum you out! How Much Envy Do You Have? "Because of their sloth, they subordinate the way of perfection (which requires denying one's own will and satisfaction for God) to the pleasure and delight of their own will. . . . [T]hey frequently believe that what is not their will, or that which brings them no satisfaction, is not God's will, and, on the other hand, that if they are satisfied, God is too. They measure God by themselves and not themselves by God, which is in opposition to his teaching in the Gospel. . . ."
You're certainly not lazy. If anything, you're super charged, hyper, and always going. Slow down a little. You can enjoy a slow afternoon without becoming a total couch potato. "John of the Cross habitually carried the Bible; he dwelt in the Sacred Scriptures, reading, analyzing, meditating on them, contemplating -- even singing them while trudging along the dusty roads of his times. When free he would hide in the most isolated parts of the monastery garden with his Bible and there remain in prayer reflecting on those sacred pages. At any time in his spiritual life he could linger with an image or painting of a scene from Christ's life and be lifted aloft. He taught that a holy image pictured in the mind or painted on canvas or the sacred symbolic actions of the liturgy deserve to be prized because they can set the heart in motion toward the living image or mystery they represent." "The very pure spirit does not bother about the regard of others or human respect, but communes inwardly with God, alone and in solitude as to all forms, and with delightful tranquility, for the knowledge of God is received in divine silence." - St. John of the Cross, "The Sayings of Light and Love", translated by Kieran Kavanaugh, OCD, and Otilio Rodriguez, OCD, revised edition (1991), copyright ICS Publications. How Is It God Loves Us? The home page for ICS Publications is featuring an essay from its online archives entitled "How Is It God Loves Us? : a Homily for St. John of the Cross", by John Sullivan, O.C.D., from Carmelite Studies Vol. VI: St. John of the Cross. It is interesting reading for a week of awaiting a new papal encyclical on the subject of God's love, and for a week of prayer for Christian unity. December 14 is the feast day of St. John of the Cross. 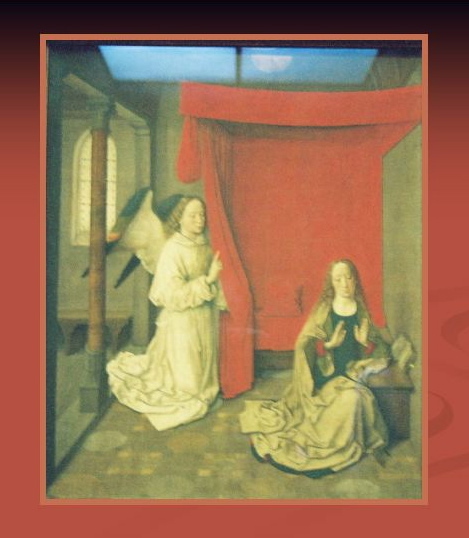 The Institute of Carmelite Studies has a wonderful resource available free online in that Carmelite Studies Vol. VI: St. John of the Cross is currently out of print and is available as a free download from the ICS Publications website here. The volume includes 210 pages, first published 1992, with essays about St. John of the Cross by some of the foremost students of his work. One of those is John of the Cross: His Person, His Times, His Writings by Michael Dodd, O.C.D. That includes a good short biography of his life. Another Carmelite source of writings by and about St. John of the Cross is Carmelite.com. That collection includes the essay St. John of the Cross by Hans Urs von Balthasar; A Homily for St. John of the Cross by Father Greg Burke; as well as the collected works of St. John of the Cross, all provided by ICS Publications solely for private use. Also available free on line, through Christian Classics Ethereal Library, you can find Ascent of Mount Carmel and Dark Night of the Soul by St. John of the Cross, translated by E. Allison Peers; and A Spiritual Canticle of the Soul and the Bridegroom Christ by St. John of the Cross, translated by David Lewis. "Seeking the Father's will means making use of all one has for the honor and glory of God. This is the cardinal principle that John lays down for the reform of one's life and the service of God. The disciple's activity through the love of Christ must transcend the self (and the self's honor and glory) and move undauntedly toward another center, toward God, the authentic center, and toward God's honor and glory. We were created for the purpose of glorifying God. Words spoken in set patterns of praise glorify God. Praising God is not, however, accomplished only in the assembly or in preset patters of prayer. In the New Testament, followers of Christ are enjoined to give glory to God not only in prayer but with their whole lives. There is the injunction in I Cor. 10:31 that "whether you eat or drink, or whatever you do, do everything for the glory of God." In the Fall, 2005 issue of Spiritual Life (the ICS Publications quarterly), Father Kavanaugh reviewed two recent biographies of St. John of the Cross here. Of the two, the one that Father Kavanaugh called an "excellent biography" is John of the Cross: Man and Mystic by Richard P. Hardy. Father Kavanaugh's work on St. John of the Cross, and translation of his work, is also available in Paulist Press's "Classics of Western Spirituality" series John of the Cross: Selected Writings. Ignatius Press has Fire Within: Teresa of Avila, John of the Cross and the Gospel on Prayer by Father Thomas Dubay, S.M.